The New York Times has a weekly blog about the Civil War called Disunion. A recent post by Professor Don Doyle of the University of South Carolina included an interesting anecdote. When Lincoln became president, the tiny Republic of San Marino wanted to show support for the embattled United States, so the 1,400-year-old nation offered Lincoln one of the few resources it had: San Marino citizenship. The letter was sent to the American capital in New York. 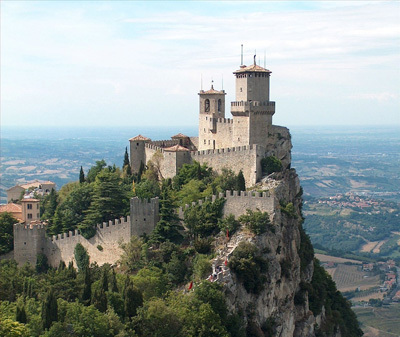 San Marino seems to have been unaware that the capital had moved from New York more than six decades earlier. After I read this post, I wondered what the people in Arizona proposing laws designed to take citizenship away from the children of undocumented immigrants would have made of this correspondence. These folks defend their misguided bills as a way to insure that children with “divided loyalties” not be allowed to become citizens. In fact, several politicians backing these laws have specifically said they would not want a person with dual citizenship to ever have the chance to grow up to be president. Would they have insisted Lincoln step down as president when he became a San Marinian? Lincoln had a confident view of American citizenship. He understood that loyalty to America came not from ancestry or legalisms, but from devotion to the principals of free government and attachment to the ideals of the Declaration of Independence. He knew that men with impeccable pedigrees in America, men related to Thomas Jefferson and George Washington, enslaved other men, women, and children and now made war on the American republic. He also saw that men who had immigrated to the US just a few years before, many not yet even citizens, were already flocking to the colors to defend the constitutional government of the United States. Lincoln understood that citizenship inhabits the hearts of the free, whatever the circumstances of a person’s birth. Maybe the so-called patriots in the Tea Party would want to revoke Lincoln’s citizenship after all. Click here to read posts from the Long Island Wins series The Immigrants’ Civil War. Image courtesy of fdecomite via Flickr. 3. Carl Schurz: From German Radical to American Abolitionist-A teenaged revolutionary of 1848, Carl Schurz brought his passion for equality with him to America. 2. Should Lincoln Have Lost His Citizenship?